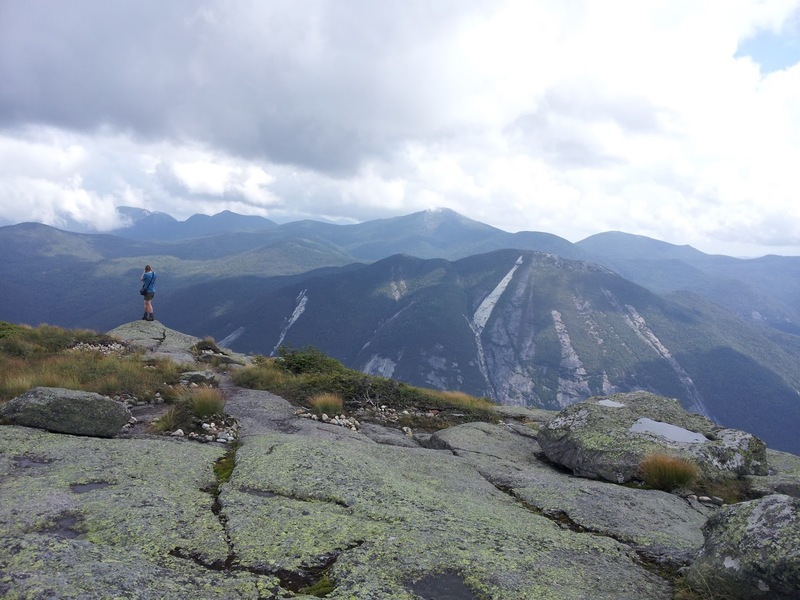 Labor Day weekend in the Adirondack High Peaks means full parking lots, busy trails, and crowded summits. Last year we were lucky enough to hike on Friday, sparing us from some of the masses. This year we were restricted by days off and planned to hike on Saturday, but threats of thunderstorms pushed our hike back to Sunday. We passed the Whale's Tail Notch Ski Trail and continued up, completely socked in by dense clouds. I fully expected that we would have zero visibility the entire day, but my sister's friend suffers from unflagging optimism and proclaimed the sun would come out, the clouds would break up, and we'd have fabulous views from the summits. He even lamented having forgotten to pack his sunglasses. I rolled my eyes and didn't believe it for a second. 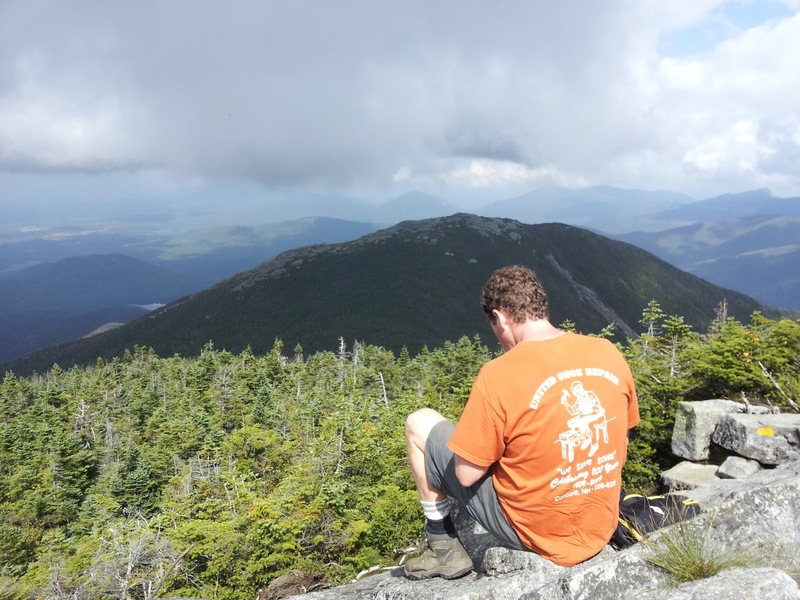 Regardless, I'd still rather hike inside a cloud the ADKs than do just about anything else. Once the trail started to go up, it REALLY went up and pretty much straight up at that. There were a couple scrambles that required both hands and feet. 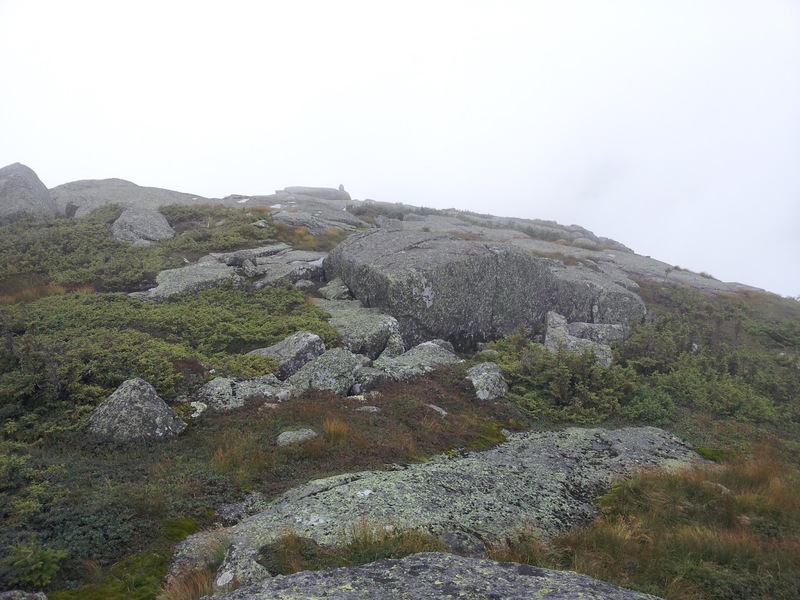 We came out on the bald summit of Algonquin still enveloped in clouds. By the time we took our boots off, ate some food, sent a few "we made it" texts, and put our boots back on, the clouds were starting to break up in spots. As we headed down into the col and back up Boundary, more and more blue sky was showing through. On Iroquois we were able to get out our cameras and take pictures in every direction. My sister and her friend happily identified as many of the peaks as they could. Then back over Boundary we went and back up Algonquin, where we paused again to take photos now that the summit wasn't lost in clouds. Eventually we headed down, still debating whether or not we would do Wright. 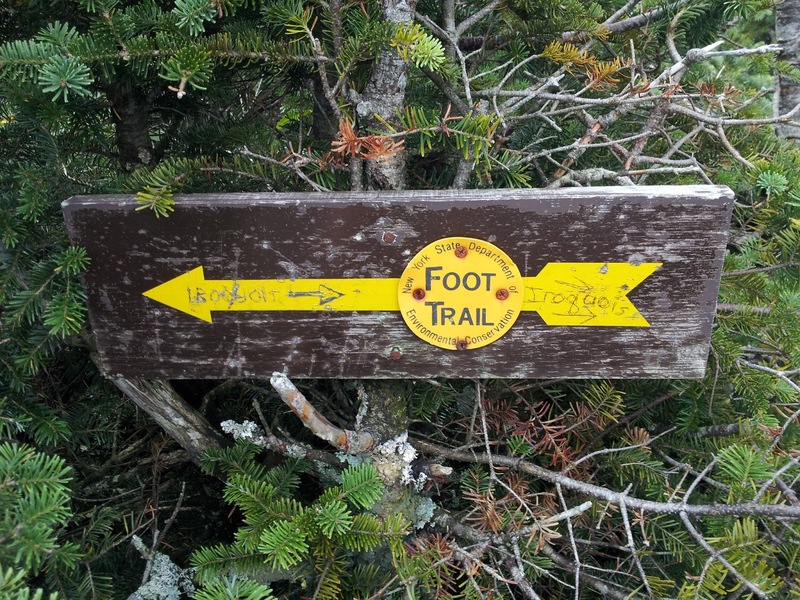 I was leaning towards doing it because it is only 0.4 miles off the trail to Algonquin. 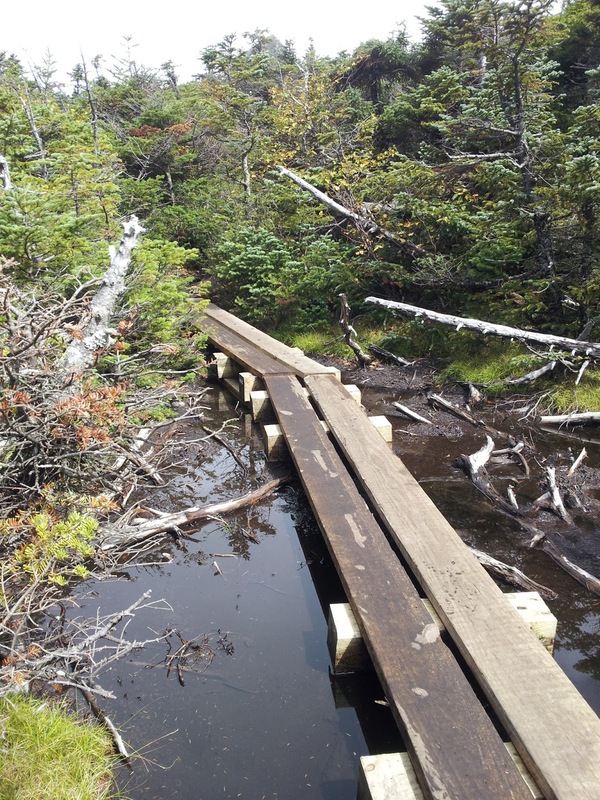 I was starting to think I wouldn't be eager to have to hike the same trail again any time soon. We decided to go for it, but man did that 0.4 miles hurt, as it was all UP. On the summit we snapped more pictures, chatted with the summit steward, and scrambled down to the plane crash plaque before we started down our last mountain of the day. Once we were down off the rock slabs we were making good time and passing many of the hikers we came across. In the rock cobbles (smaller than a boulder, bigger than a soccer ball) at the lower elevations, the sun had not been strong enough to fight the humidity and the rocks were still slick. I lost my footing and tumbled, rolling at least once before coming to a stop when my skull hit a rock. I leapt up quickly (but unsteadily) to my feet, declaring "I'm fine." I know it's terrifying to see someone else fall, so I wanted to reassure my hiking companions (and the older couple we had just passed) that I was OK. My sister grabbed my face to check that my teeth were still in my mouth (they were) and her friend called an immediate rest break. I drank some water and collected myself and then we continued on to a nearby stream where I washed off some of the mud on my arms (no sense bothering with my legs). I was very, very lucky to escape from that tumble with only scrapes, bruises, and a goose egg on my head. Nothing was broken and my teeth were still intact. 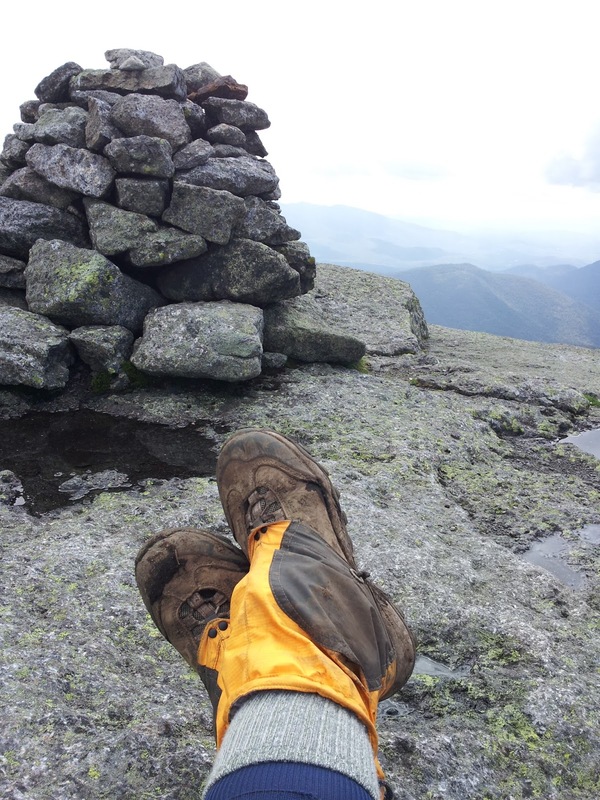 When it comes to climbing mountains, mud and blood are de rigueur for me. This just took that a little too far. It also slowed us down a hair, but we still made it back to the parking lot around 5:50pm. That sounds like a great day, despite the tumble at the end. Oh no! I'm always scared I'm going to fall when I hike (the 3 times I've done it) I'm glad you're okay!!! PS the pics are fantastic! I love the one of the plank over the water. I totally love hiking and wish I could have been able to come too--so glad you get to enjoy what I've always enjoyed. Fun pix and story!